More and more, we are aware of the growing dysfunction and unfairness of our political system. Partisan gridlock dominates Washington; 17 percent of voters elect a majority of senators; the presidency has assumed unprecedented and unintended powers; politicians spend as much time campaigning for office as governing; and average Americans feel more and more disconnected from the political process—half or more don’t even vote in many elections. All of this would have horrified the likes of Jefferson and Madison. 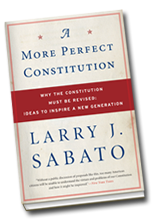 In A MORE PERFECT CONSTITUTION, Larry Sabato persuasively argues that, while much of the Constitution should remain sacred, some crucial revisions are essential to restore equity for ordinary citizens, for until some of its outmoded provisions are reformed, we will continue to have more of the same political stagnation. 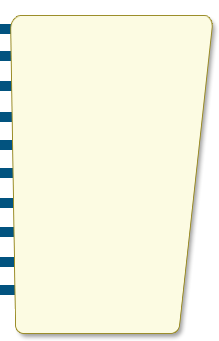 Indeed, the inspiration for these reforms comes from the original framers—Jefferson, Madison, Mason, Washington, and others—who fully expected the Constitution would, and should, be regularly revised each generation to reflect the country’s changing needs. Yet, apart from the ten amendments in the Bill of Rights, it has only been amended seventeen times in 220 years, and many of those amendments were inconsequential. A MORE PERFECT CONSTITUTION presents twenty-three creative and dynamic proposals to reinvigorate American governance. Combining idealism and pragmatism, Larry Sabato's thought-provoking ideas range from the structure of Congress, and length of the president’s term to the number and terms of Supreme Court justices, the vagaries of the Electoral College, and a compelling call for universal national service—all laced through with the history behind each issue and their potential impact on the lives of ordinary people. 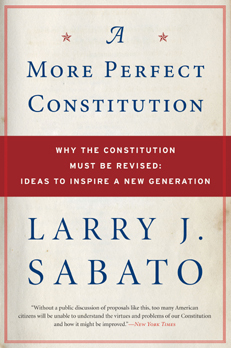 In presenting his proposals, Sabato provides an invaluable civics lesson, peeling back the roof covering the workings of our political system, and allowing us to see the gears and levers meshing together; to see what parts of the machine need oil, and what parts need full-scale repair—and to understand why. We therefore come to appreciate, over and over, what the founders of our system expected, as expressed in their own words—that the Constitution would be revised generation by generation, updated to fulfill the needs of a growing nation. Larry Sabato has the rare skill of making political science appealing and understandable to the masses. This no doubt comes from his thirty years in the classroom, where he has developed one of the most fertile and insightful political minds in the country. This book is, in many ways, the summation of his thinking on our political system during those thirty years.